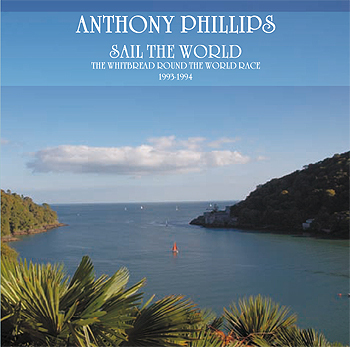 In 1993 Ant was commissioned to write and record the music for the UK television coverage of the Whitbread Round The World Yacht Race. Ant's music to accompany the reports on the progress of the race was heard on 38 weekly programmes broadcast between October 1993 and June 1994. Sail The World was originally released in May 1994 on Voiceprint's Resurgence label to tie-in with the conclusion of the television coverage of the race. The following year music publishers KPM expressed an interest in issuing most of the music that Ant had originally recorded for the project as a sports-themed library music CD for use on television and film. It was felt that many of the tracks would benefit from being remixed for inclusion on the library CD and for this re-issue the opportunity has been taken to include these later remixes of the relevant tracks. The re-issue of the album has been re-mastered by Simon Heyworth and now features three extra tracks which have not been released commercially before. The re-issue also has brand new artwork (which features some of Ant's own photography) and new sleeve notes which detail the recording of the album.